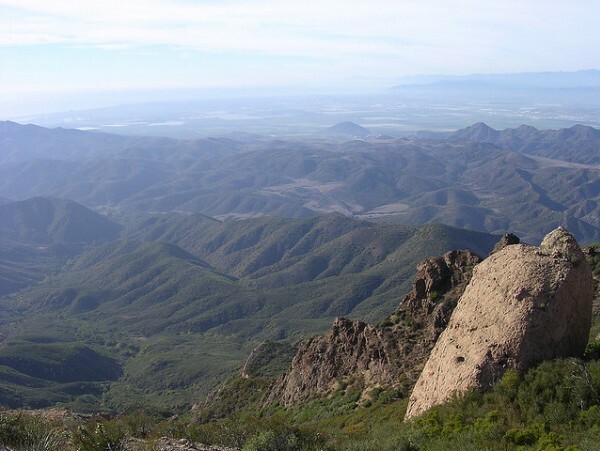 There are plenty of excellent locations for outdoor activities in California’s Santa Monica Mountains with Point Mugu State Park, which is about 15 miles from the city of Oxnard, being one of the most popular and scenic. This wonderful park is home to about 5 miles of beautiful Pacific Ocean shoreline, sandy beaches and dunes, rocky bluffs, and rugged hills. There are also grassy valleys, two river canyons, meadows, and dozens of oak, walnut, and sycamore trees. For those who love outdoor exercise hiking you’ll be pleased to hear there are about 70 miles worth of hiking trails as well as swimming, mountain biking, and body surfing opportunities. Most campers stay overnight at the Big Sycamore Canyon Campground. You’ll likely need a reservation if you plan on camping out in the summer because the beach is so popular. It’s an ideal place for trailer camping as long as your unit doesn’t exceed 31 feet in length. It’s also a pretty popular park in the off-season, especially with hikers and bikers. Because it’s located on the famous Pacific Coast Hwy, the views are stunning. The campsites are given out on a first come, first serve policy if you don’t have a reservation and they’re not all filled up for the night. Most of the sites have some shade and you’ll also find showers and flush toilets on site. There are metal fire rings and each site has a maximum limit of 8 people. You aren’t allowed to cut any wood from trees, so make sure you bring some firewood or buy some at the park. Dogs are allowed, but they must be kept on their leashes at all times. However, they’re not allowed on any of the unpaved trails. If you leave the campground and head over to the Pacific Coast Highway, there’s a tunnel which takes you to the other side of the freeway and leads to the Sycamore Cove State Beach. You’ll find biking and hiking trails here which take you down to Sycamore Canyon. It’s an excellent beach for surf fishing. If you’re lucky you might catch a glimpse of some playful seals, whales, pelicans, and dolphins. There’s so much natural beauty here along with some wonderful wildlife to keep you busy for days on end. The trails aren’t too hard to hike and they provide an excellent chance to explore the park’s ecosystems. Just make sure you’re well prepared if you decide to go on an extended hike since the weather can change pretty quickly once the summer months have passed. The park is also a popular location with day visitors since it’s an ideal place for picnics. Horseback riding can also be enjoyed if you head over to the National Park Service entrance. There are several places in the vicinity of the park if you need to buy gas or medication and there are also some factory outlets nearby. Park rangers are on duty until about 10pm, which is great if you need any help with anything.